T’is the day we celebrate love and friendship. I celebrate anything and everything with laughter and cheering of glasses! 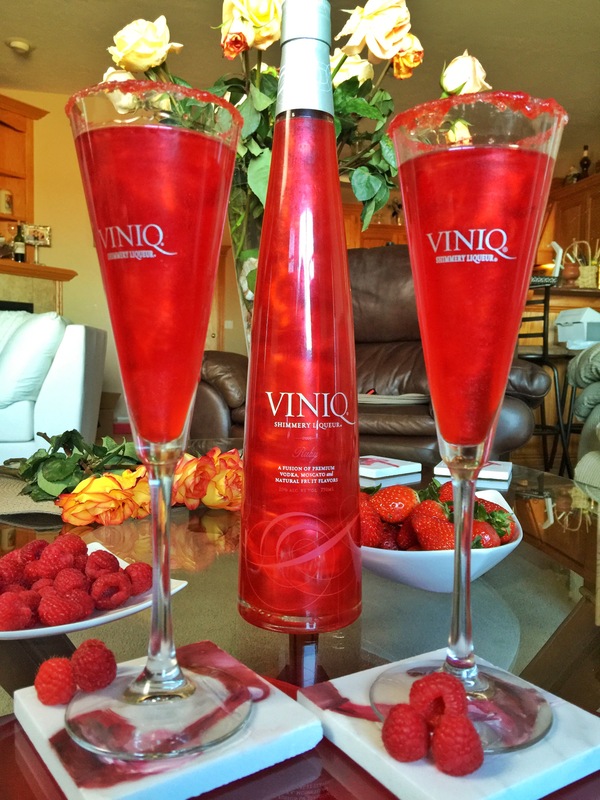 This year, the obvious option was berries and Ruby Viniq: a luscious shimmery fusion of premium spirits made to elevate our moods and palates! 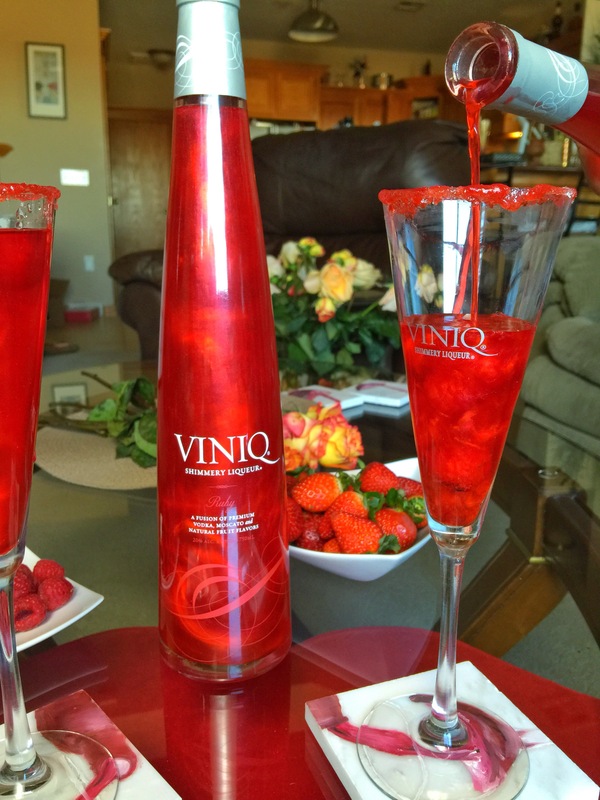 The velvety sweetness of the delicious combo of Premium vodka, moscato and natural fruit flavors pairs perfectly with berries and chocolate. A match made in Valentine’s Day heaven. 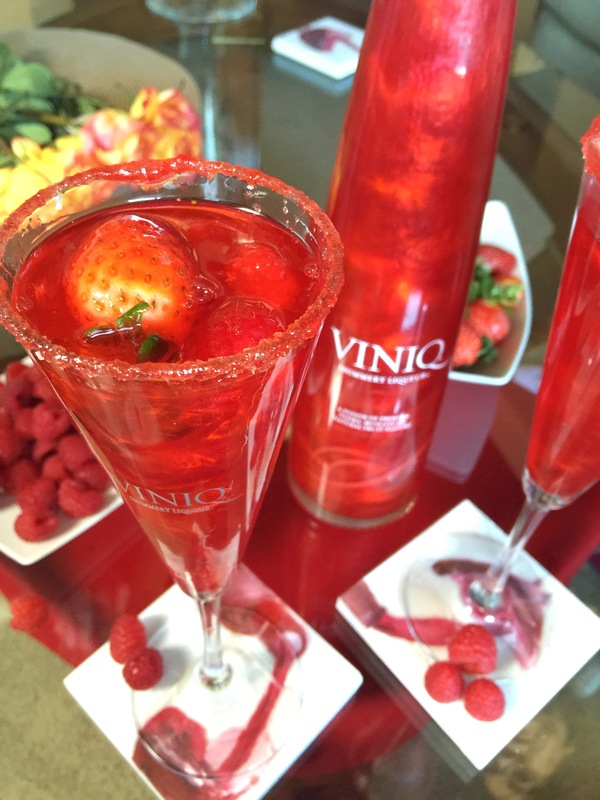 Keeping that in mind, I developed the perfect Valentine’s cocktail to be enjoyed with your love, or lovely girlfriends, although the beautiful shimmer will draw everyone to raise their glasses many times at any given celebration! Rub flute rim in honey or lemon juice and dip it in sugar. Drop 3 frozen raspberries into flute. Pour chilled Viniq Ruby followed by Champagne/Sparkling water into flute. This is a refreshing, beautiful drink that will kick off a special night with a special someone or a group of lovely ladies. 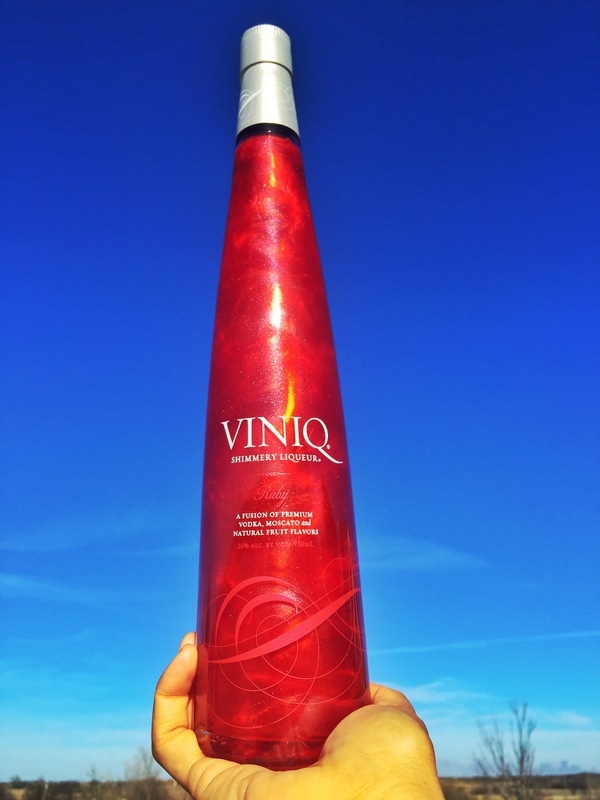 Viniq definitely adds a special touch of class and shimmer, no to mention sparkle and taste! I can’t wait to have a girl’s night and share this will my girlfriends, but for now, I’ll enjoy it with winecoach! I hope everyone has a sparkly Valentine’s Day! This post is sponsored by Viniq. All opinions are my own. 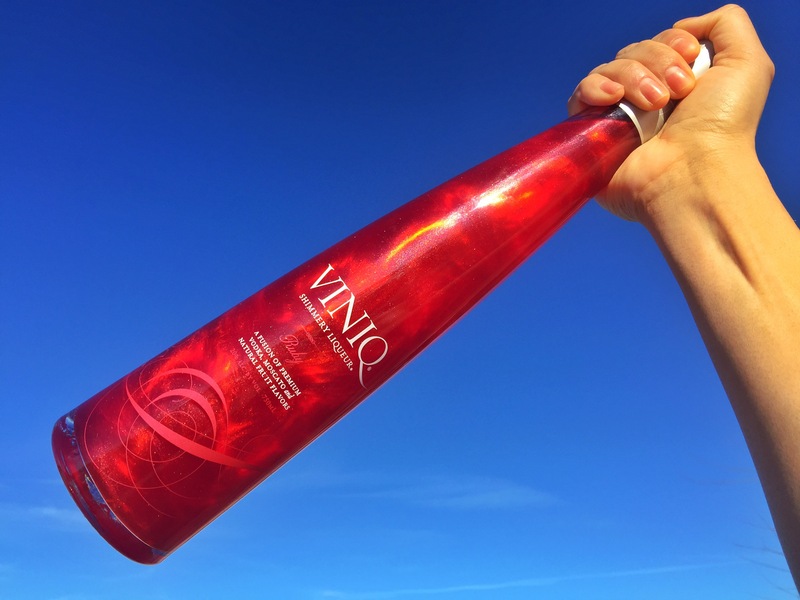 This entry was posted in Colorful Foodie Picks, Uncategorized, Wine and Dine, Wines We Enjoy and tagged ruby viniq, valentines day drink, viniq.